A good kitchen design begins with measuring the layout of the room; by drawing a preliminary room outline, you will help our kitchen designer better understand what you are looking for in a kitchen. 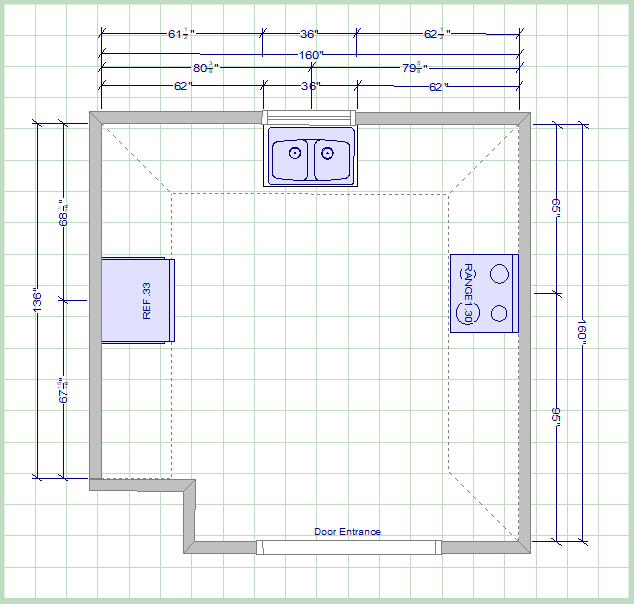 Please measure the entire room, even walls that have no cabinets. ATTENTION: If you're too far for our designer to come out and measure your kitchen; you can download this estimate sheet, fill it out and send it in to us for a free quote. After you have filled out the form completely, please send it to info@crosscountrykitchens.ca or fax it to us at 613 938 2685. Click above link to open estimate sheet or right click and select "save as" to save it to a location on your computer.